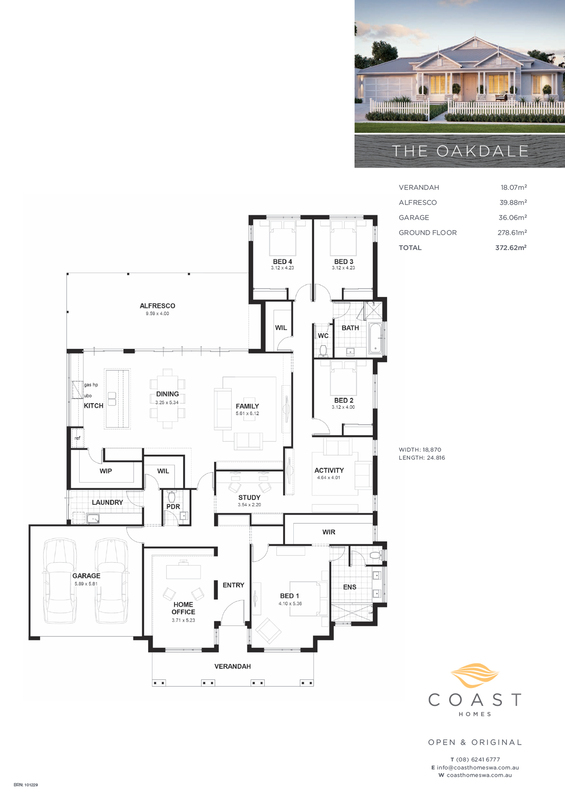 With feature timber posts and weatherboard cladding, The Oakdale is inspired by classic Hamptons architecture. With feature timber posts and weatherboard cladding, The Oakdale is inspired by classic Hamptons architecture – a look that has enjoyed a resurgence in popularity in Perth due to its timeless style and ‘beach house’ feel. This generous 4×2 home is suitable for a 20 m wide block, and ideally suits a block with a rear facing northern aspect. Perfect for a growing family, it has a separate kids’ wing that includes activity and study areas, and a large kitchen pantry. Wide sliding doors lead out on to an alfresco area that runs the length of the kitchen, dining and family areas, creating an indoor/outdoor space perfectly suited to Perth’s mild climate. For the ultimate luxury single storey house plans chat to us today. 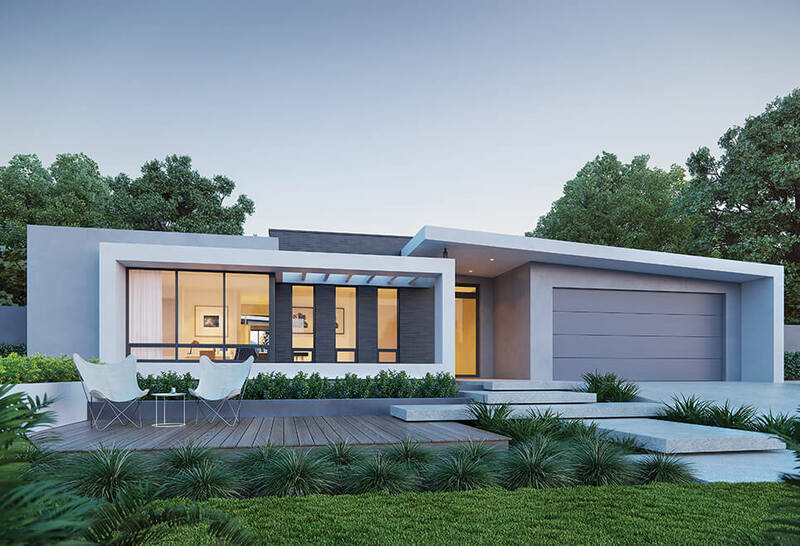 Click to see more of our unique single storey homes in Perth.